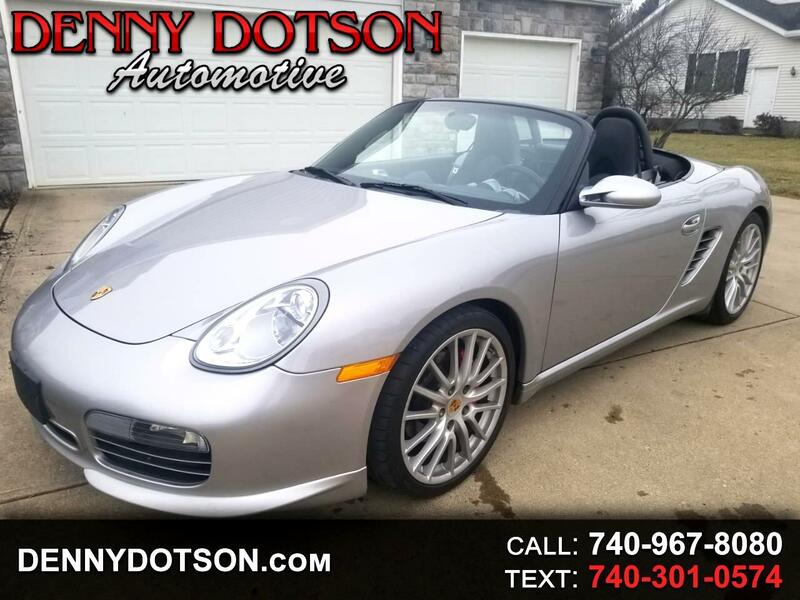 Used 2008 Porsche Boxster 2dr Roadster RS 60 Spyder for Sale in Johnstown OH 43031 Denny Dotson Automotive Inc.
2008 Porsche Boxster RS 60 Spyder. The Boxster RS 60 Spyder bumps output to a full 303 horsepower (eight more than the standard Boxster S) by optimizing the sports exhaust system for every last pony - and likely a few more decibels under throttle as well. Spacers push the 19-inch SportDesign wheels to the edges of their wells, while Porsche Active Suspension Management (PASM) is fitted as standard. Styling cues are a mix of modern and classic, with an aggressive Porsche SportDesign front valance, a black-framed windscreen, and GT silver metallic-finished center console, red rear light clusters, rollbars, and exposed instrument cluster. Silver seatbelts, a special gearshift knob, surface grooves in the sport seats, door linings, steering wheel rim, and hand brake lever, along with stainless steel, RS 60 Spyder-engraved door sills all add exclusivity to this special edition and reflect the aluminum and leather trim found in the original RS 60 Spyder. Two color schemes are available for the natural leather upholstery, Carrera red or dark grey -- the former is paired with a convertible top in the same hue, while the latter gets a black top. The exterior is only available in GT silver metallic in homage to the RS 60 Spyder racecars. This Porsche comes complete with all of the books, manuals, and both sets of keys. Clean history. Message: Thought you might be interested in this 2008 Porsche Boxster.